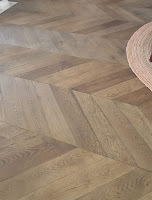 Engineered Chevron Parquetry A sensible choice for extra-wide size. 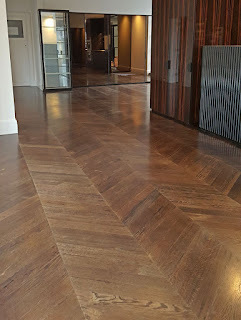 Trends come and go in the building industry, and parquetry is not immune to it. In recent years we've seen an increased demand for wider, longer parquetry boards, to the extent that 125 and 150mm wide products account for half of our current sales, be it in the Herringbone or Chevron type. 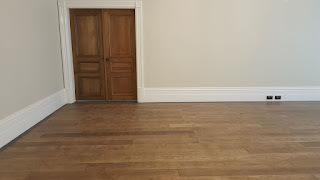 This tasteful apartment in the heart of Melbourne CBD is clear evidence of this trend. The Good House supplied and installed 150 x 730 mm engineered chevron boards to the utmost satisfaction of the client. 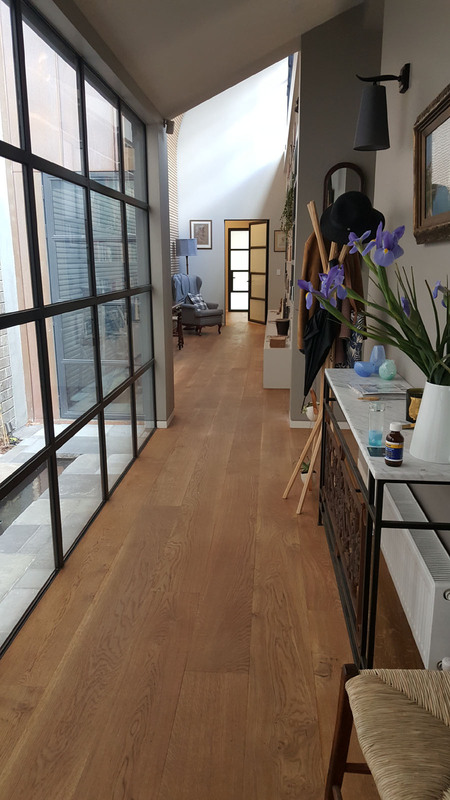 In such a situation, engineered French oak does not only appeal to the budget conscious, but also to those who expect their flooring to stay immaculate for years to come. 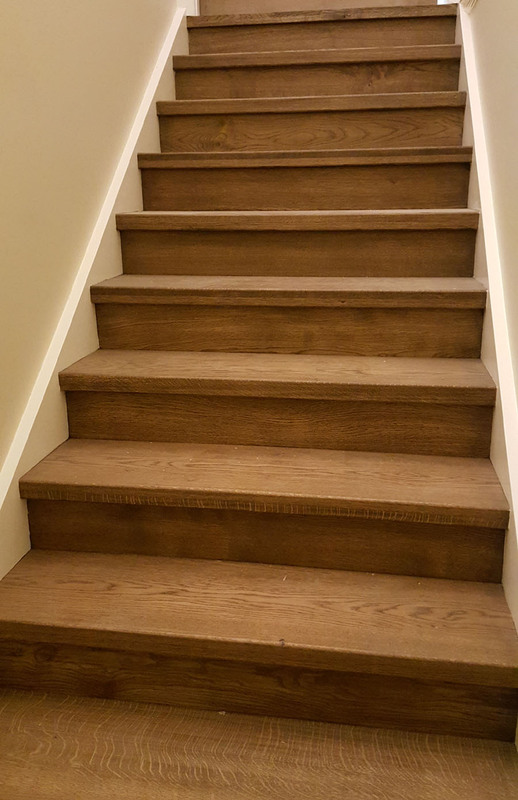 Engineered products are extremely stable, they won't warp or shrink, and with a 4 or 6mm top layer of select grade French oak and hardwood backing ply, they will last for a lifetime. Still, at The Good House we mostly are a boutique business where no two jobs are the same, and be it engineered or solid, we keep custom delivering what our clients want. 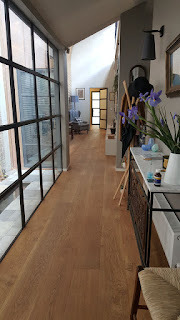 Wide floor boards are often associated with rustic, farmhouse and countryside styles, or contemporary, lofty warehouse apartment styles. 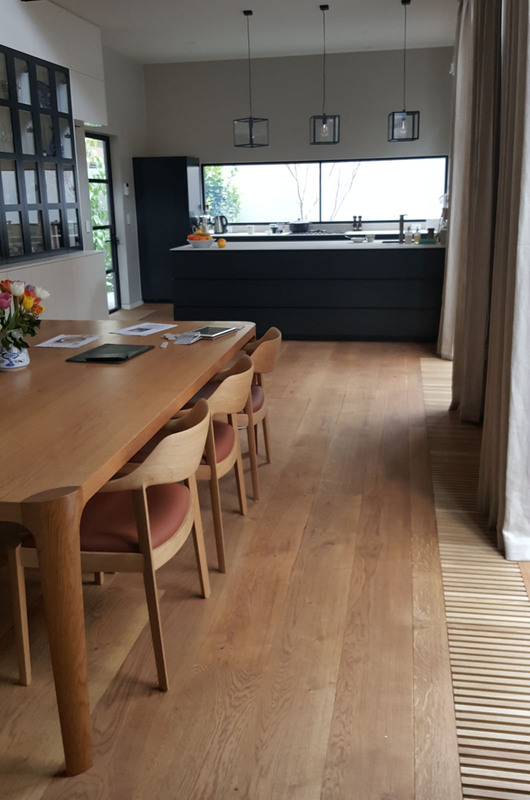 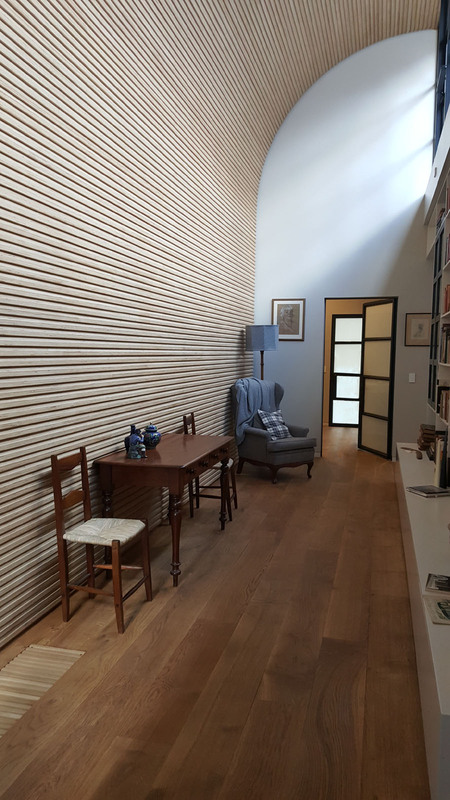 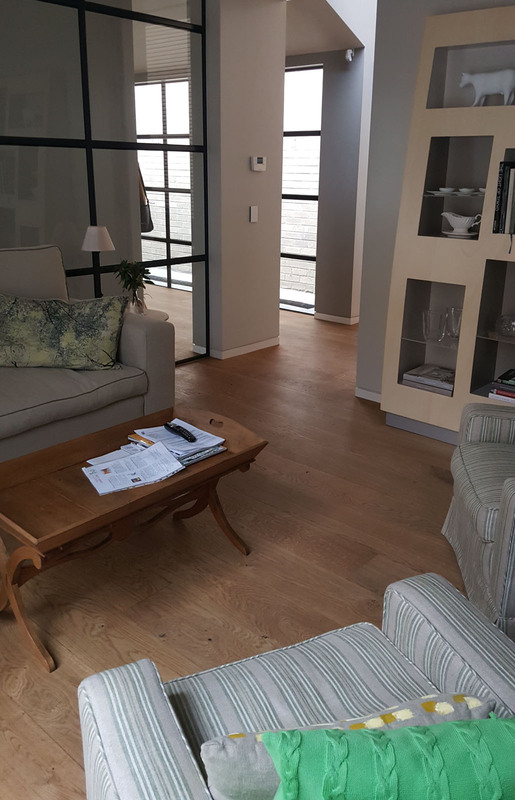 The result of a close collaboration between architect John A. Clark and interior designer Lindy Priest, this project in the French-sounding classy suburb of Jolimont takes full advantage of the timeless beauty of our French oak wide boards, available in random length up to 4.8 metres. 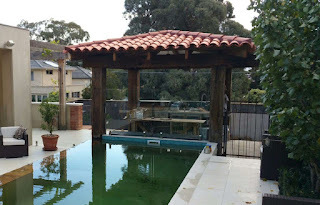 It instantly feels homely and from a league of its own, like true trend setting projects do. 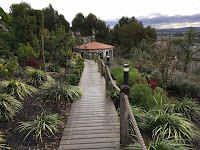 Please visit... and enjoy! 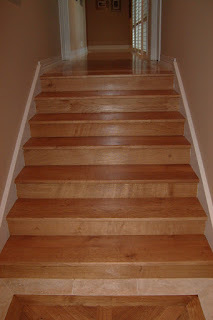 Step up in style with French oak stairs ! 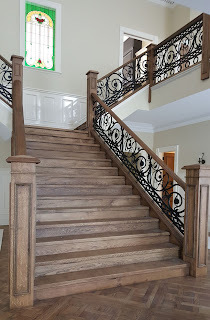 Quite logically, when you have a French oak flooring installed in your new house, it makes sense to have it complemented with solid French oak stairs, and in the same finish too. 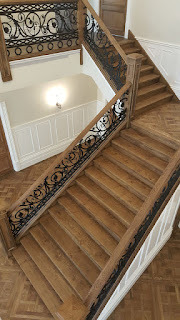 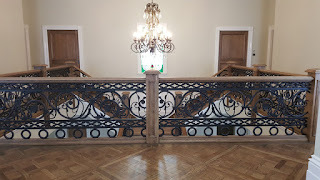 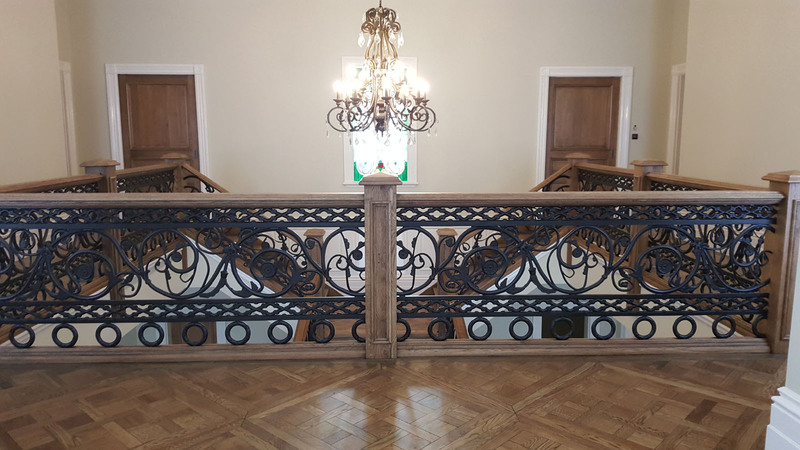 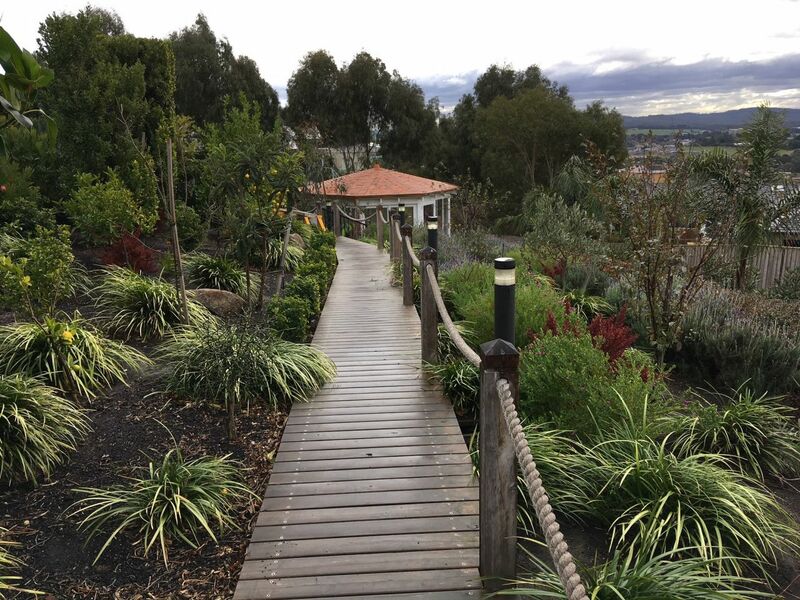 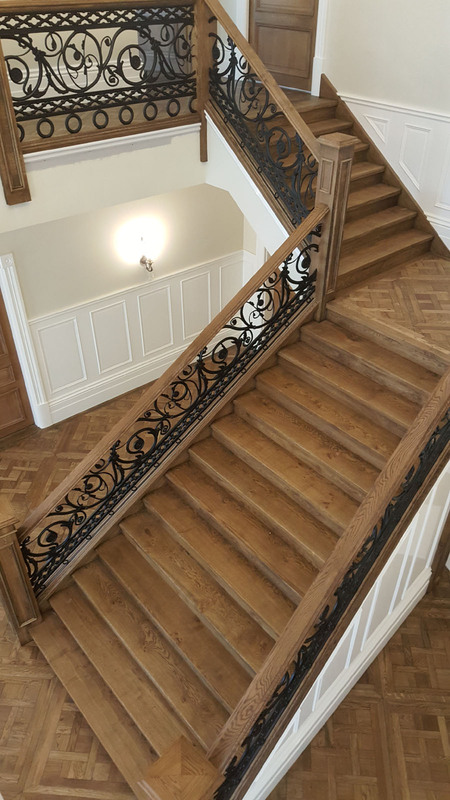 At The Good House, we can supply custom made treads and risers in full-width single boards as well as solid balustrades and handrails up to 48mm thick. 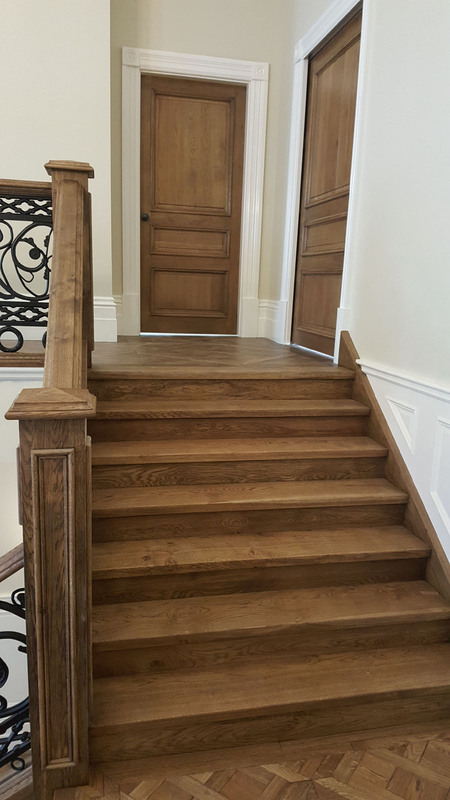 The value added to your project by genuine French oak stairs is tremendous, be it for your own home or as part of your next residential development. 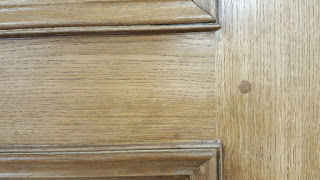 Please check these pictures for some stunning results and amazing details. 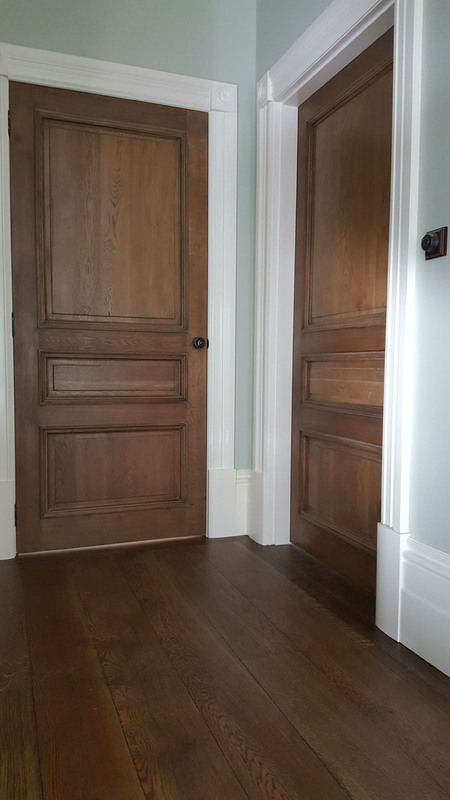 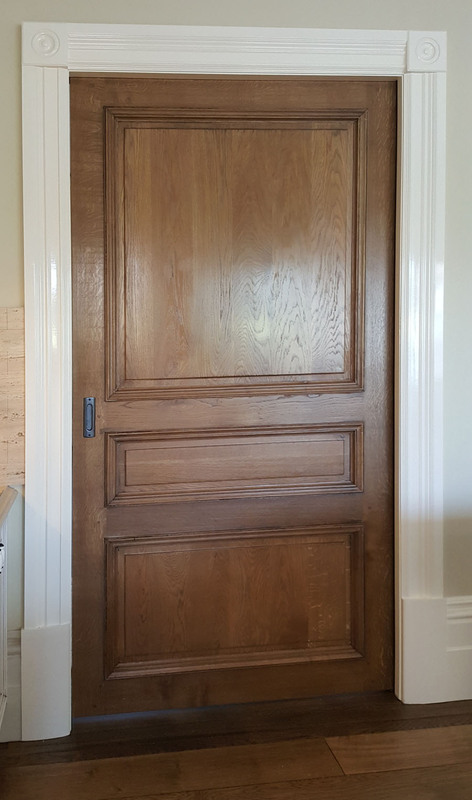 Stairs, parquetry, doors... simply solid French oak . Bullnose or pencil-round, it's your choice. 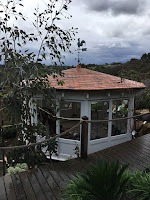 Just recently, as well as over the last 10 years, we have completed a number of small roofs that are gathered here in a visual feast of your eyes only! 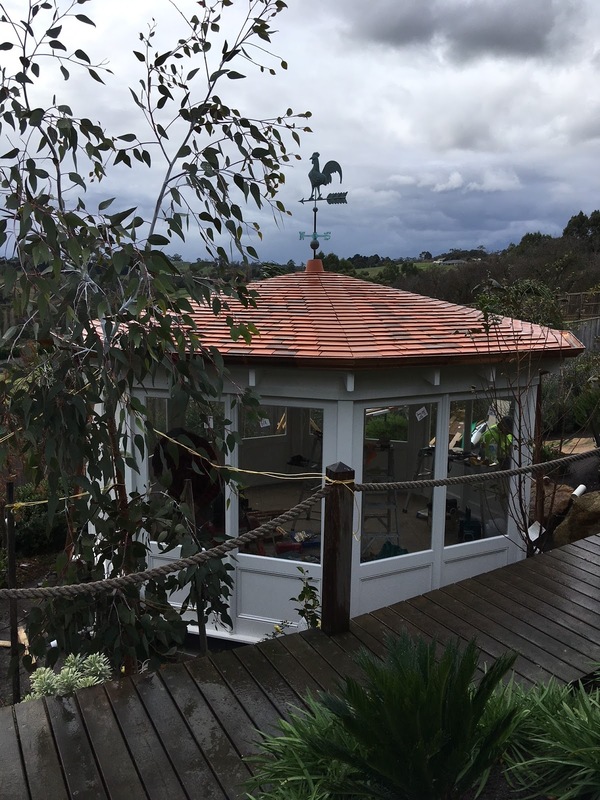 Many of these decorative roofs feature traditional terracotta shingles, in a heritage or weathered finish, that will only look better and better with the passing of time. 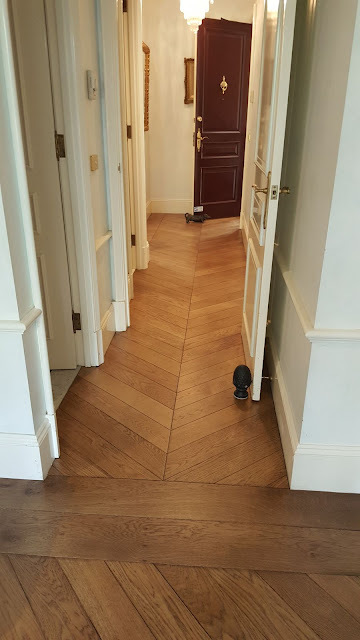 Another Pyramidal design, this time massive in proportion, and bright in colour. 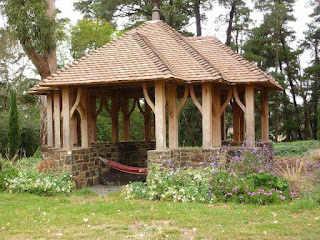 The most exotic roof, right in the middle of Australia ! 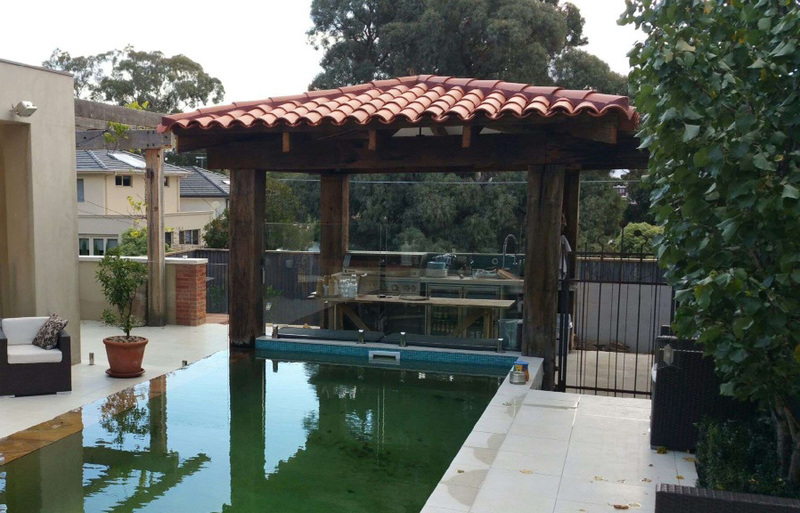 A pool cabana lends itself pretty well to a feature roof, especially with Unders-and-Overs Mediterranean curved tiles that are designed for low pitch roofs. Here is a more intricate version, using Sable-Champagne "Normandie" shingles. 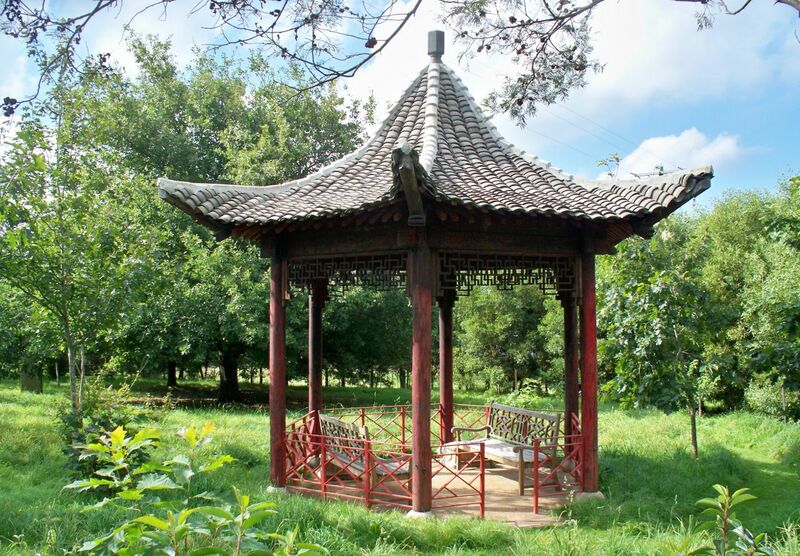 Your next very own and private gazebo is just a phone call away! French oak... Or nothing else! 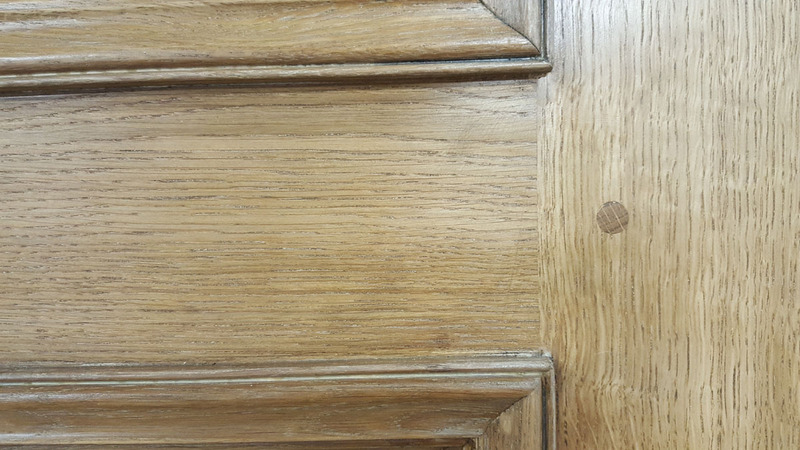 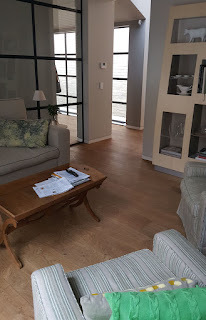 If you wonder sometimes whether you should choose French oak or European oak, buying your parquet floor from The Good House makes little difference, because our European oak is sourced from Western European countries where oak supply is sustainably managed. 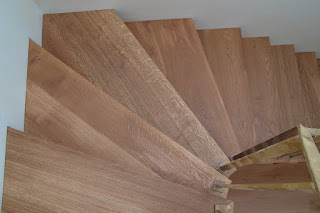 This includes France of course, as well as Germany, Austria and Slovenia, countries where timber harvesting is compliant with PEFC (Pan European Forestry Council), the equivalent of the American FSC (Forest Stewardship Council). 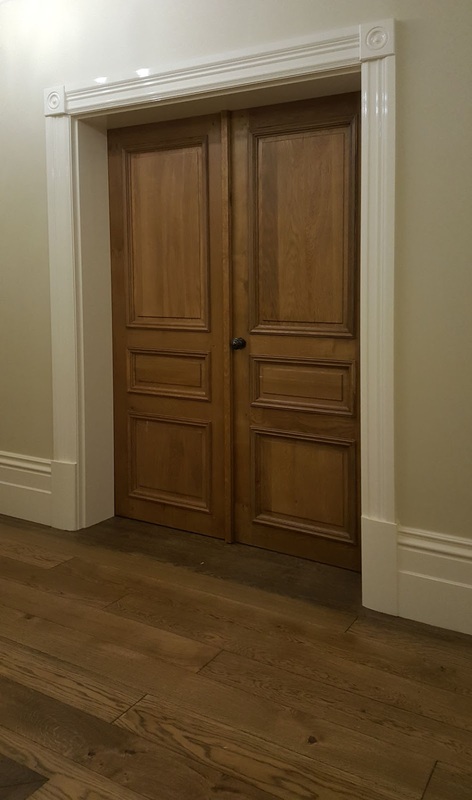 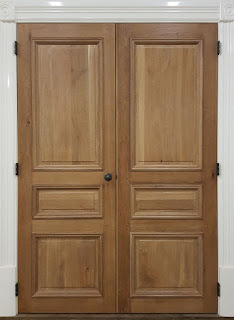 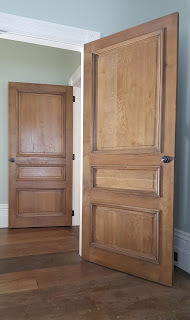 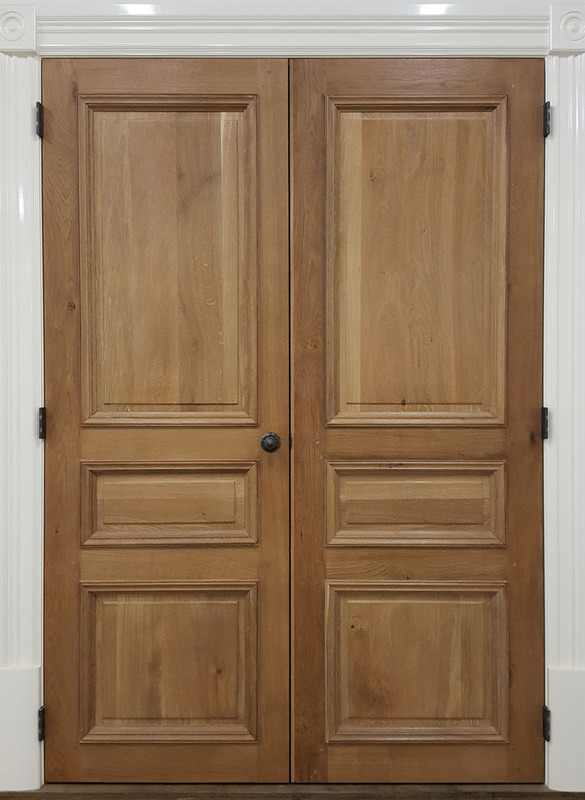 Our doors are designed and made by experienced French cabinet makers and joiners. They are traditionally constructed with mortice and tenon, and pin assembly, as per below detail. 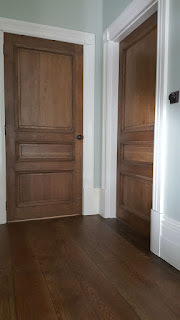 The bolection moulding also is a single double-sided piece of wood, 70mm thick. 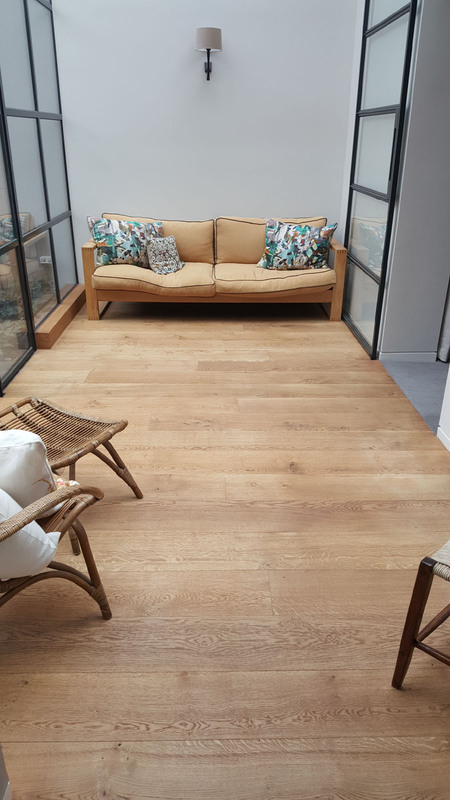 Our French oak strip floor is 220mm wide, in random length up to 4800mm! The Chantilly panels have been custom made to fit the first floor lobby ! 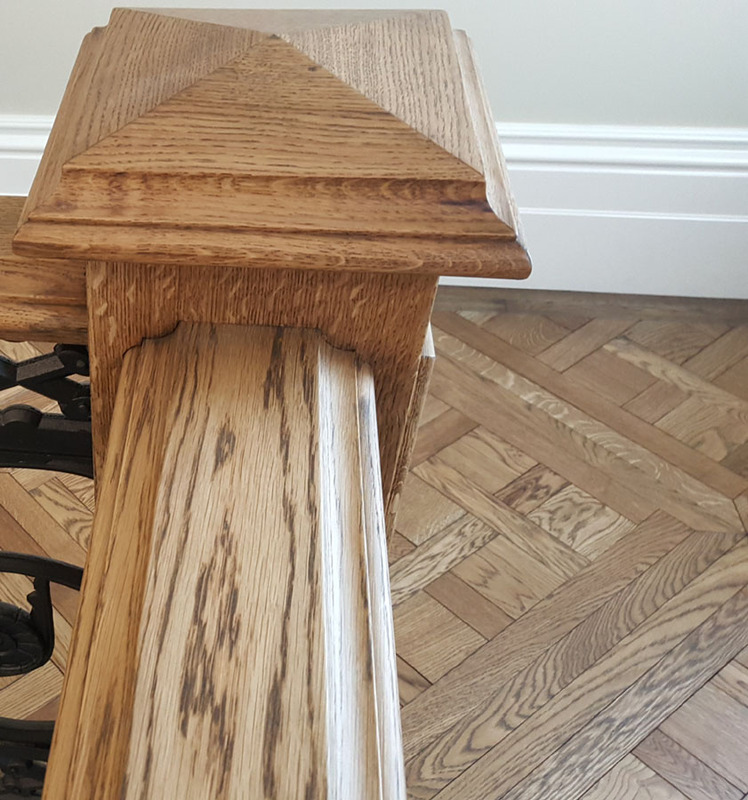 These solid posts are 250 x 250 mm... and 4000 high for the rear of the stairs...!!! 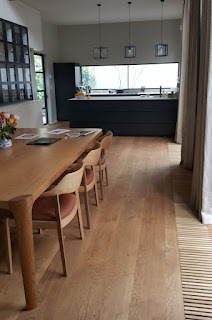 In the rumpus room, the floorboards are only 180mm wide. 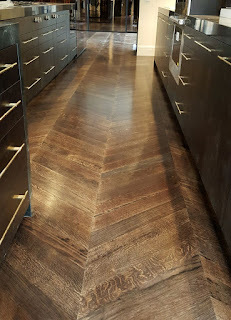 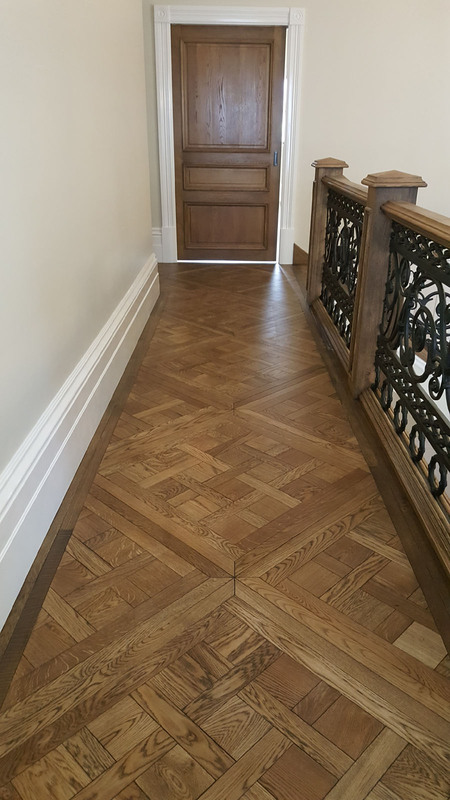 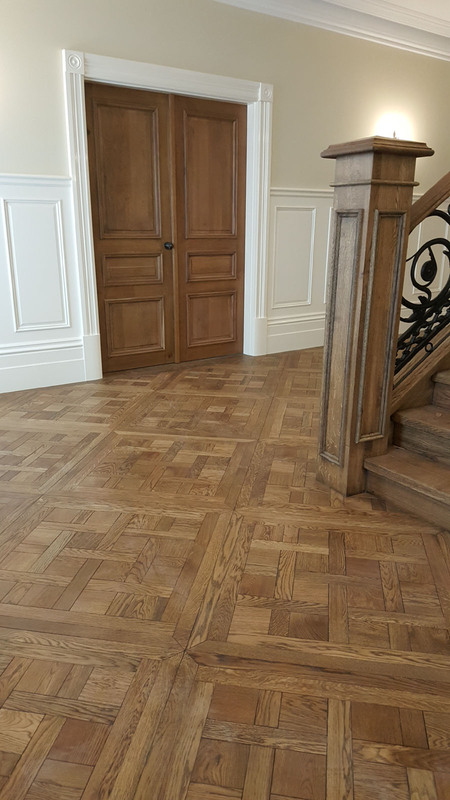 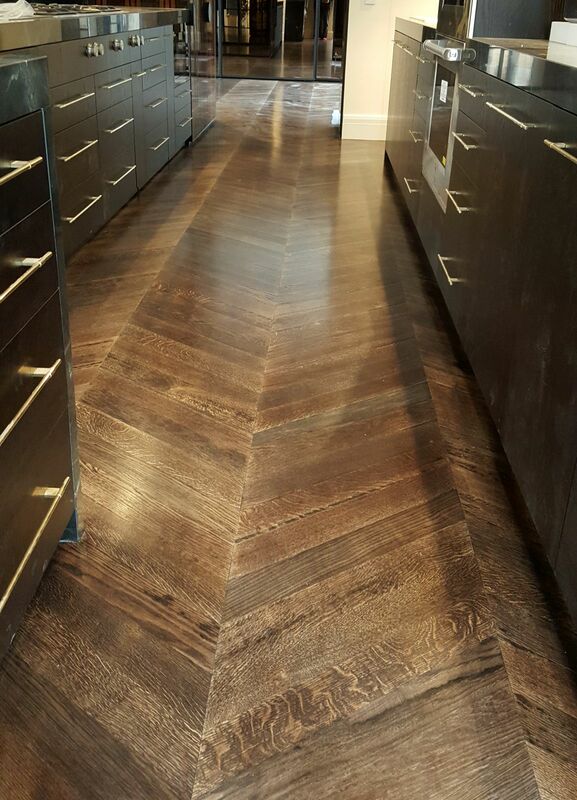 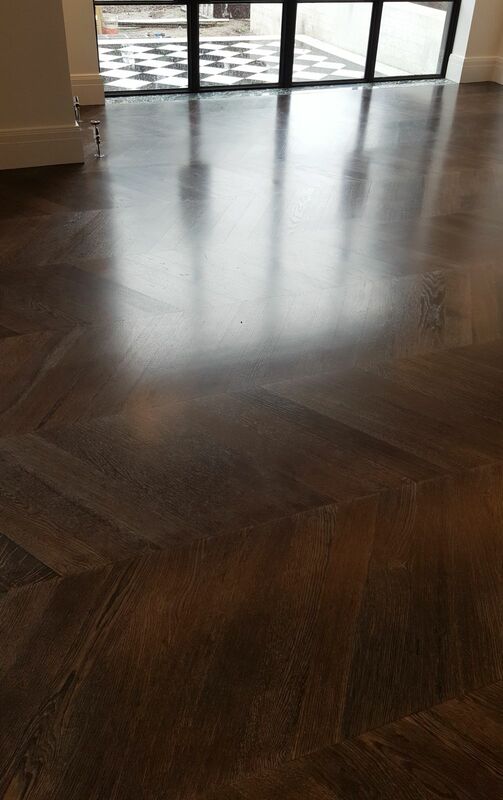 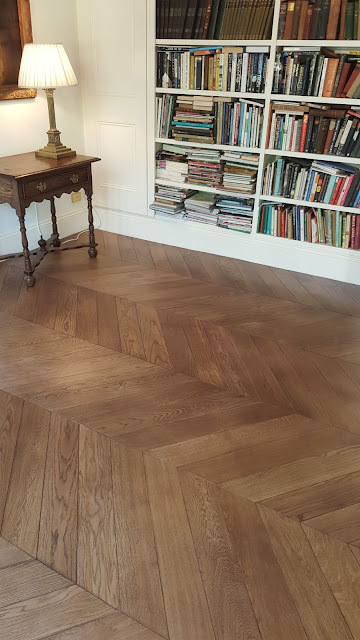 French oak chevron parquet an absolute winner in Classic Toorak apartments! 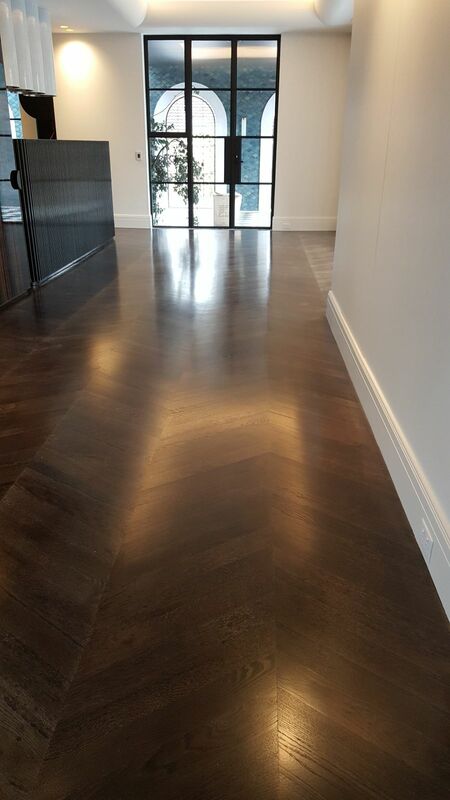 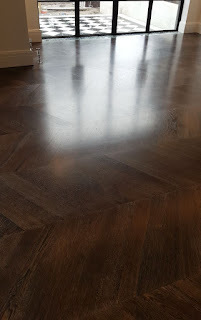 No matter the width, the length and the finish (bevelled, brushed, smoked or antiquated..) if you are renovating a posh apartment in one of the most sought after suburbs of Melbourne, chevron parquet is the floor of choice. 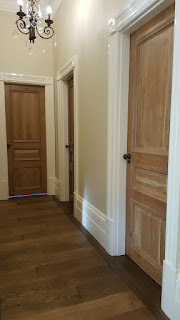 We custom make the boards to fit the width of the rooms, as in the traditional way. 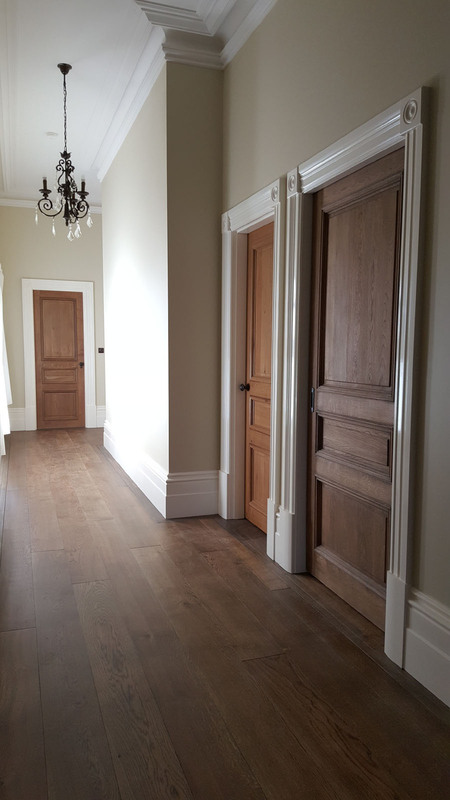 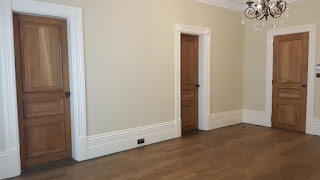 We lay borders across doorways to add even a bit more style or simply deal with walk-in robes and en-suites or island benches that cannot be aligned with the main rooms layout. 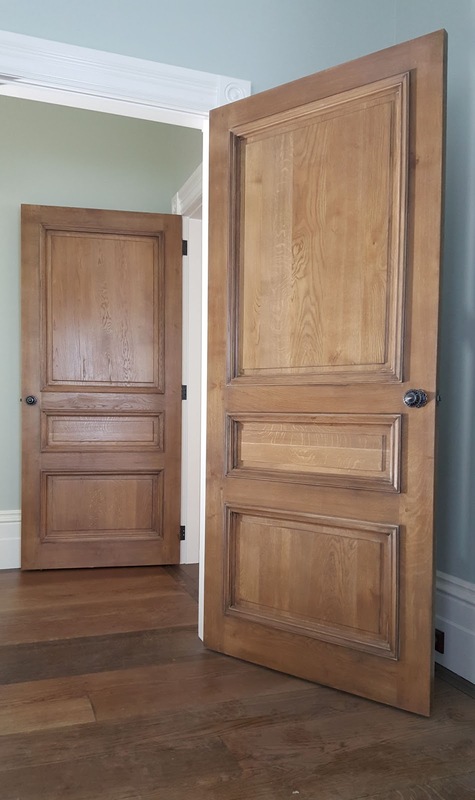 With a bit of experience you can quite easily tell apart genuine French oak milled from sustainably harvested large trees, from clear-felled Eastern Europe timber. 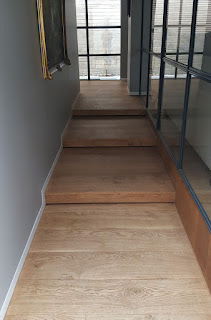 Feel free to contact us to discuss your project in details. 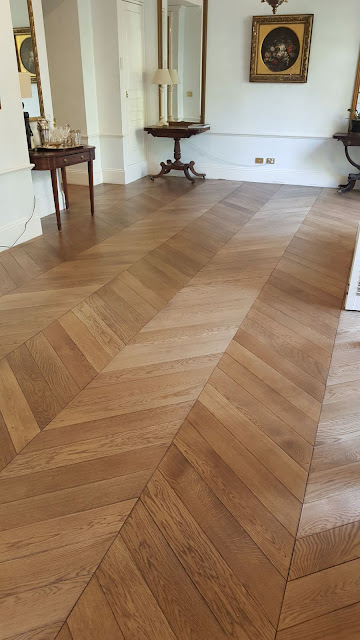 Chevron solid oak parquetry a must in French Provincial design. 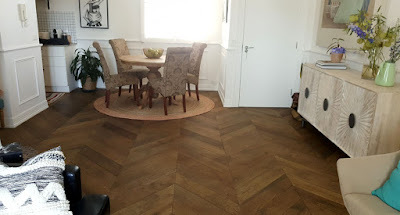 There is no denying the fascinating effect a chevron floor always exerts on your visitors, whether in a slick dark chocolate finish as in the pictures on this page, or in a more rustic, bevelled and brushed finish. The Good House is proud to have supplied chevron blades for some remarkable projects around Melbourne, to the utmost satisfaction of our clients, for now 17 years. 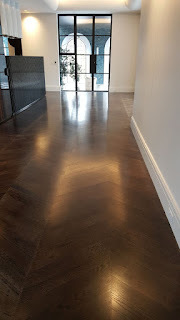 Please note that we are one of the very few companies in Melbourne supplying chevron blades strictly in the "all 4 side Tongue & Groove" type, that will stand the test of time like no other. 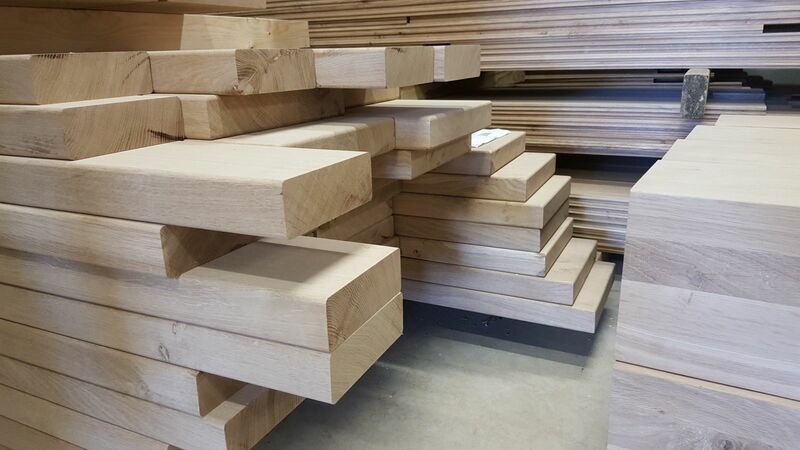 We keep regular stock of raw products, and factory finished products are usually available within 6 to 10 weeks. 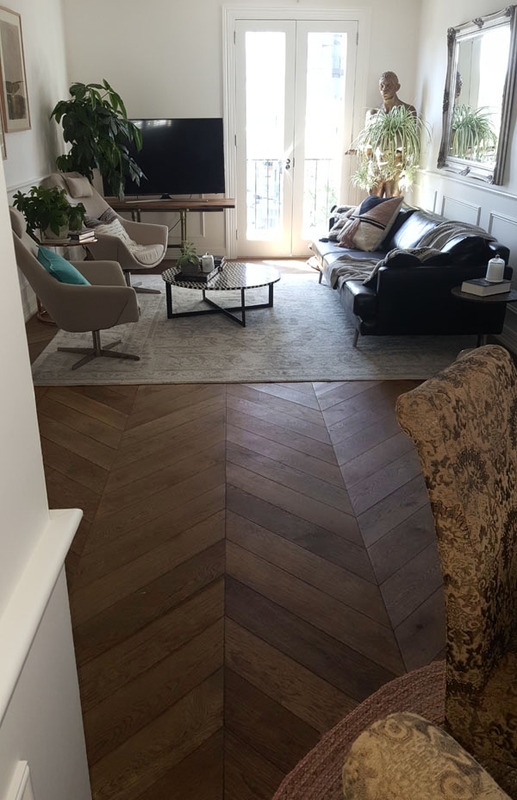 Unfinished stocked products include herringbone and chevron parquet, Versailles and Chantilly panels, solid certified French oak wide boards (220mm wide - up to 5m long / 180mm wide up to 2.5m) and 21/6 x 220mm engineered boards. Feel free to contact us for price information and stock availability. 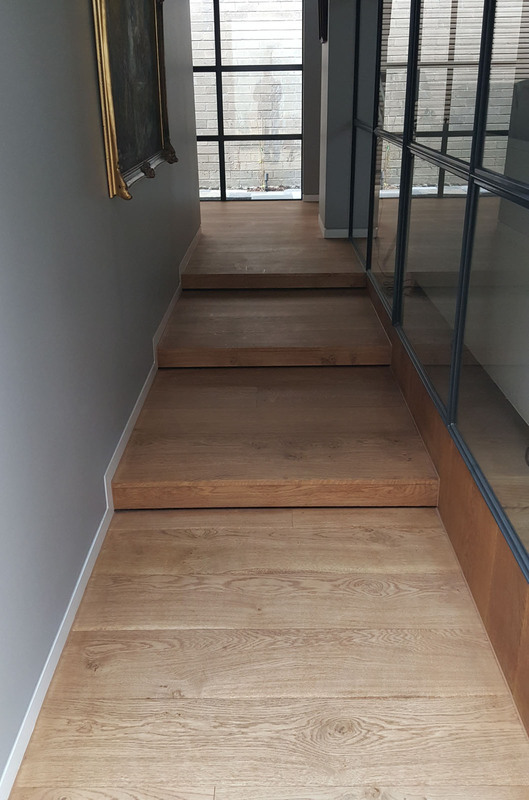 Our service also includes free layout drawing if you can provide a CAD file of your floor plan when you place your order with TGH.